After it was branded “inadequate” by Ofsted, bosses at County Hall are removing free childcare at a popular local nursery in Lancashire. The Nursery, located in Leyland’s Wade Hall, has said they may be forced to close, which will leave the families of 57 children who attend the setting searching for new places. Following the inspection, the nursery was deemed inadequate in all four areas. The inspector criticised the effectiveness of the nursery’s leadership and management, quality of teaching, learning and assessment, development, behaviour and welfare of the children as well as the outcomes of the children. Despite the nursery appealing against the findings, County Hall bosses have said that the funding for the two to four year olds who qualify for free nursery places will stop this week. 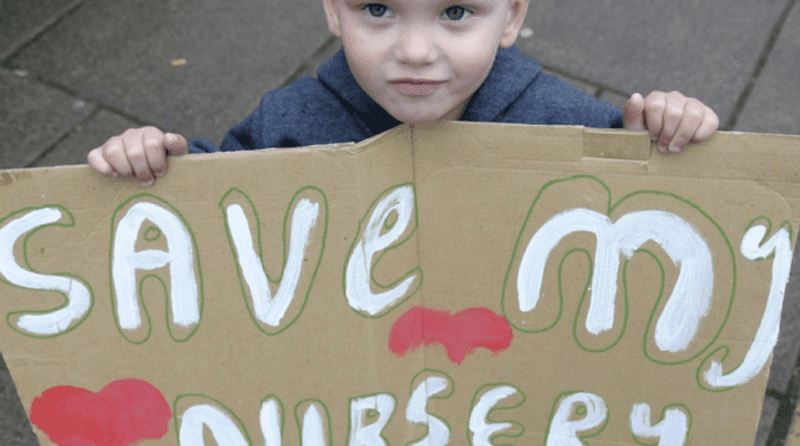 Parents have now started a petition and are calling on Chorley and South Ribble’s MPs, as well as local councillors, to lend their support in order to help keep the nursery open. The current nursery owner, who has 30 years’ childcare experience, said she felt that without funding she may be forced to close because many of the families who used the setting receive free childcare. Local businesswoman, Sophie Wilding, has a two year old child attending the nursery. She said, “Parents are very upset and worried. I pay for my childcare and chose to send my daughter there because of the reputation. We don’t recognise the nursery in that report. “People are very concerned about what will happen if it closes. A lot of the children have complex needs or learning difficulties and the staff there are wonderful and work alongside the Children’s Centre. “It will have a massive impact on the community if they close that nursery. “It has a good reputation. Parents know each other as do the children, both inside and out of nursery. “On top of that staff will lose their jobs. These are local people. Head of the county’s school improvement service, Jonathan Hewitt, has said, “We understand the impact on parents of The Nursery’s owners’ decision to close, however the rules agreed by the Lancashire Schools’ Forum are very clear, and mean that funding is automatically withdrawn when a provider is judged to be inadequate. “In the wake of the decision to close, we have worked very hard to ensure that local people are aware of the childcare options available to them. We have identified more than 90 available places at nurseries within two miles of the Wade Hall Children’s Centre. We have given information to all affected parents, as well as providing additional staff at the centre to provide face-to-face support, information and advice.